Whether he’s refusing to pay his child support so he can afford to fund his campaign and go on luxury vacations, lying about not being able to afford it, calling President Obama a liar, or yelling at constituents, Illinois congressman and Tea Party darling Joe Walsh knows how to keep it classy. So, I shouldn’t be surprised by his most recent disgusting comments about Tammy Duckworth, who is running against him in Illinois’s 8th congressional district. 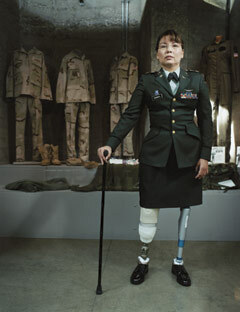 Duckworth served as Assistant Operations Officer and a Black Hawk helicopter pilot in Iraq. After her helicopter was ambushed and hit by a grenade, she successfully landed the helicopter, but lost her legs and her right arm in the blast.